Hada Labo is a pretty darn well-liked brand – they make amazing toners, milks, gels, and facial washes! Back when I first got my HGs, Hada Labo Goku-jyun Lotion and Shiro-jyun Milk, there was a buy two get one free! deal going on at Guardian. My mum chose the Goku-jyun Cream as the third product. Contains 3 types of Hyaluronic Acid that deeply penetrates into the skin to nourish and helps restore skin’s moisture barrier to prevent moisture loss. 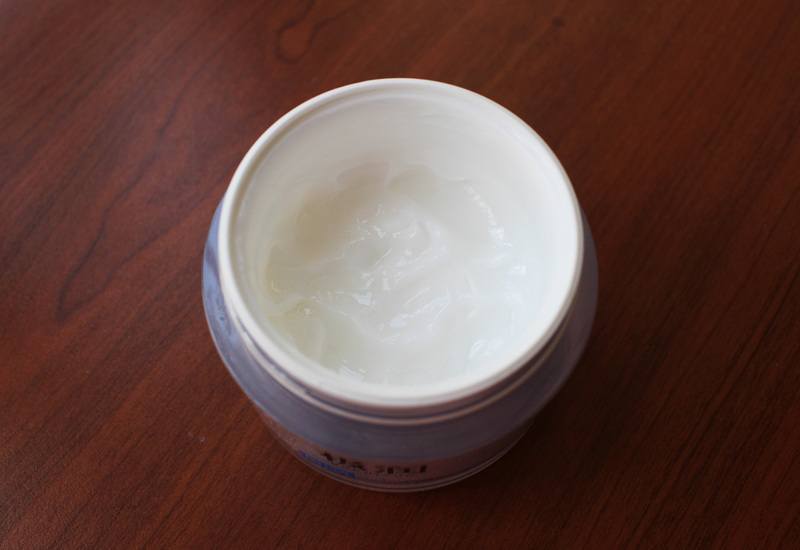 Helps to soften skin, leaving skin smooth and hydrated. Available in 2 formulas. Regular moisturizing cream helps soothes normal / dry skin, while Light moisturizing cream hydrates normal / combination skin with its lighter, fluffy texture. So it looked like a pretty good product…. Until I applied it to my face. This is what the cream looks like in the tub – it’s got this terribly thick and sticky consistency, completely unlike the typical cream texture. While it is scentless and supposedly suitable for sensitive skin, I can’t imagine anyone using this in the daytime in this Singapore weather. Sticky fingers! I have tried this cream multiple times at night, and what set off this review was the last time I tried this out a few days ago. My skin was super dry, and I wanted a quick fix – oil-based balms, or thick and sticky creams were my top pick for the day. While my HL Lotion + Mizon Snail + Laneige Sleeping Pack combo is my usual dry-skin solution, I decided to give this cream one last shot, and it was just A HUGE DISAPPOINTMENT 😐 It sat like a layer of glue on my face throughout the night, and when I woke up in the morning, my skin was still equally dry. Not even slightly more moisturized, no, it was just… dull. Really now. Look at this picture below – they look like they have the same consistency right? Looks like cream and gel right? 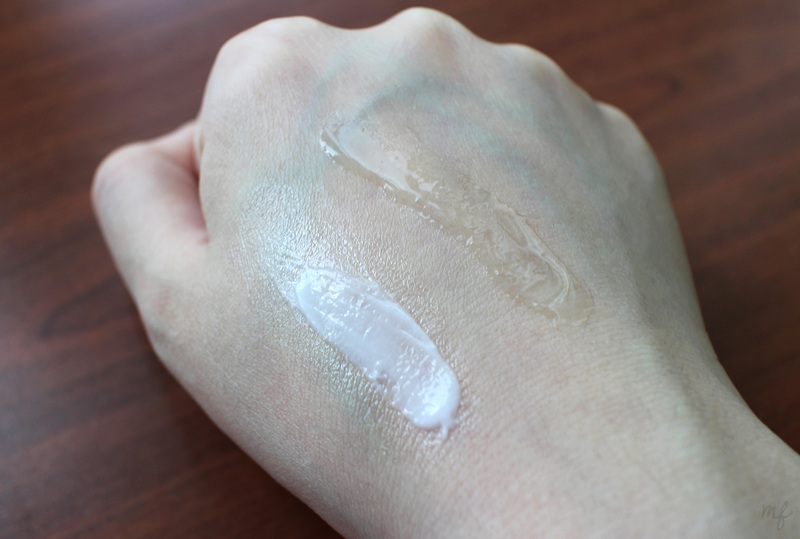 YEAH NO the one on the right is just craft glue I really wanted to plaster on some white glue (but I couldn’t find any sigh so I had to pass off some normal glue as gel) to just give you guys an idea of how STICKY this cream is – IMO the glue spread almost as ‘well’ as the HL Cream. I suppose if you wanted a ‘natural’ face glue for glueing glitter onto your face for a Halloween party this cream would work?? Sigh. I have noted that the Hada Labo products sold in Singapore are Made in China, unlike the ‘original’ Made in Japan ones – this might be a reason why the formulation is so different from what I’ve seen online. I was going to consider my combination skin-type while writing this review, but my cheeks were so dry they’d pass as dry skin even – so why didn’t this work for me!? 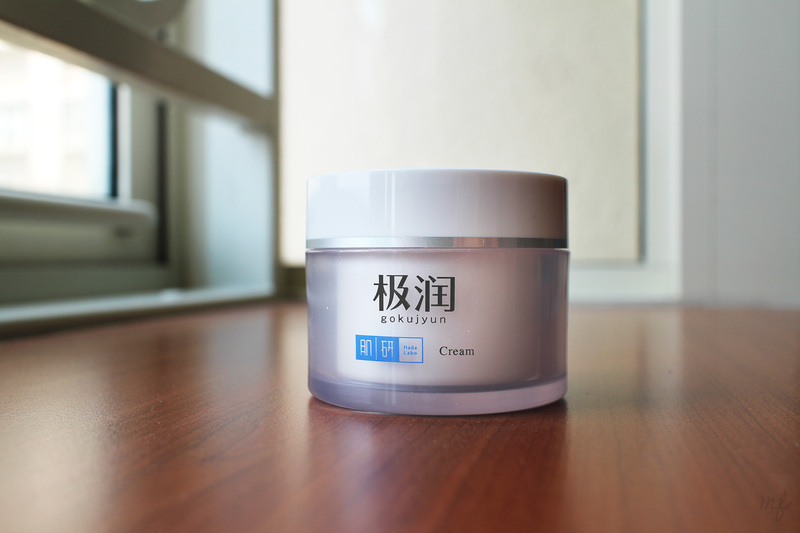 Sorry Hada Labo – as much as I love your lotion, this cream was an absolute disappointment – I definitely would not recommend this to anyone living in humid weather. Definitely go for the lotion though – that’s an actual skin-saver.